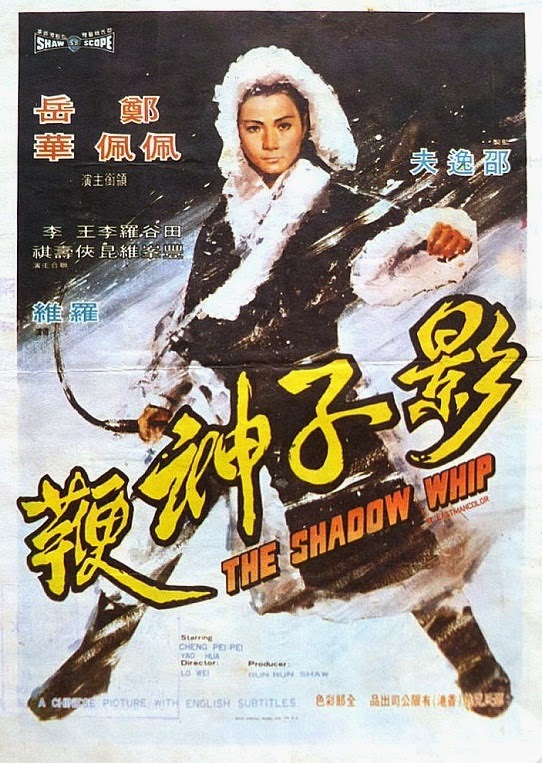 I talk with Adam about the Lo Wei film, The Shadow Whip, starring Cheng Pei-Pei, Ku Feng, Yueh Hua and Tien Feng. This one takes place in snowy mountains and much of the emphasis is on the story. Cheng Pei-Pei plays Yang Kai Yun, who is drawn into a 15 year-old grudge linked to her uncle's secret past. There is also plenty of classic-style action, and the whip provides for a nice change of pace visually. There are spoilers in our discussion, so you might want to check the film out on Amazon prime first before listening (HERE). Next week we should be back with the full crew, and we will be doing the Michelle Yeoh action film Yes, Madame. If you have any comments or review requests feel free to use the contact form on the left of the page and we will do our best to address it during the show. Our Wuxia discussions go up every friday night at the Bedrock Podcast (HERE). Be sure to follow us if you want regular updates.